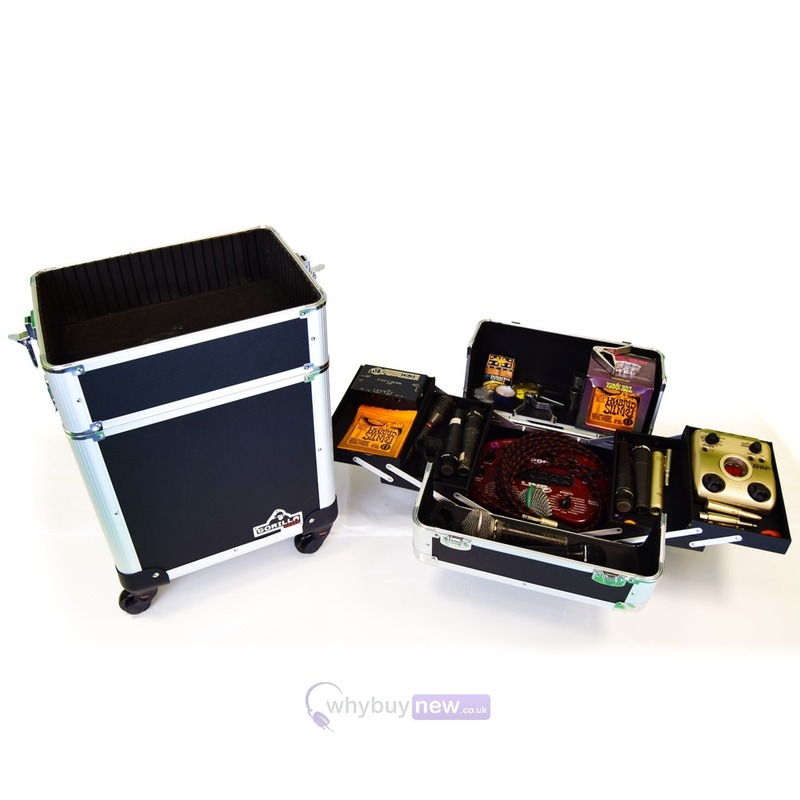 This popular, professional musicians Trolley Gig Case comes with 4 strong patented detachable wheels, padded leather/foam interior, strong carry handle and an extendable travel handle. 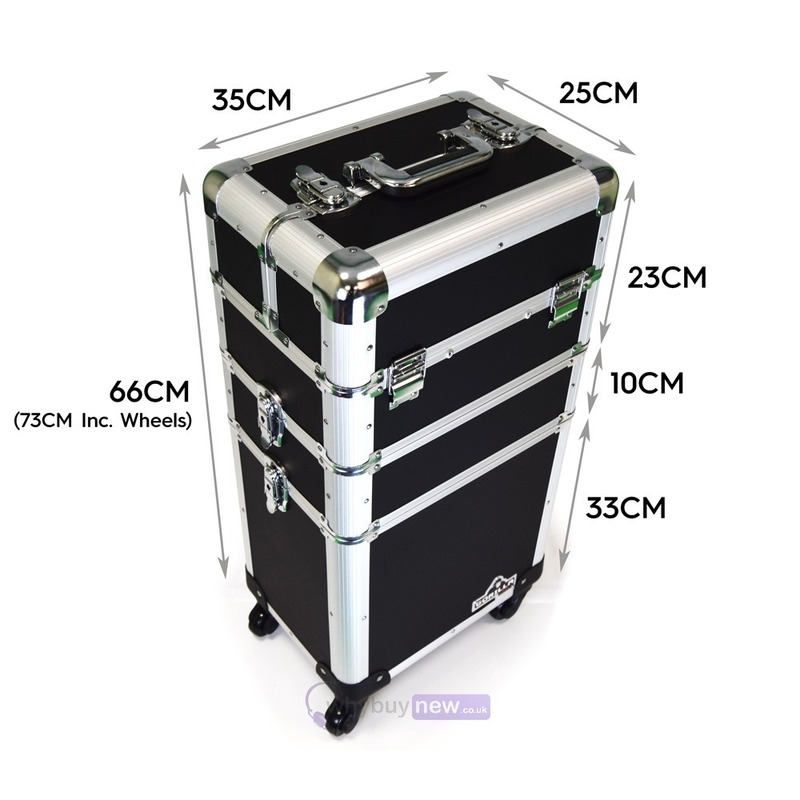 This strong but lightweight case can be transported effortlessly and is ideal for the giging musician, performer or mobile DJ. 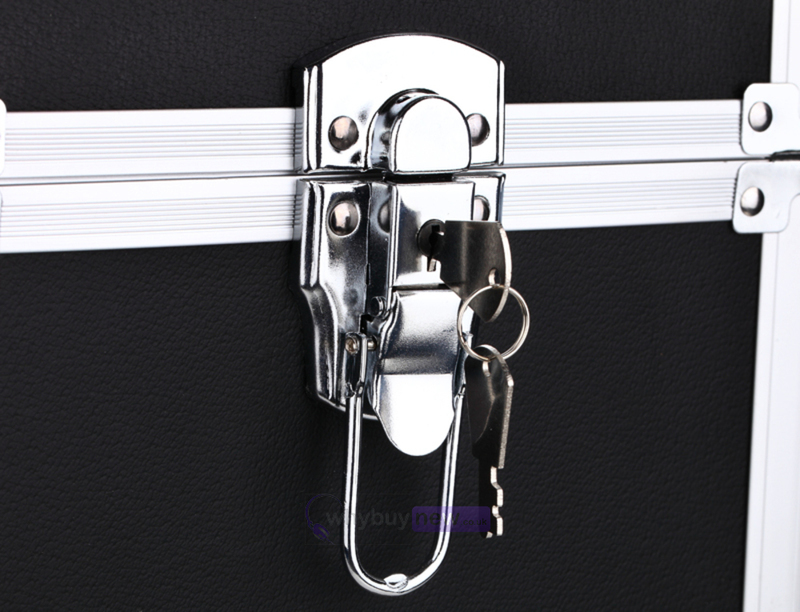 This gig case on wheels comes complete with 6 locks and two sets of keys to keep all your items secure. 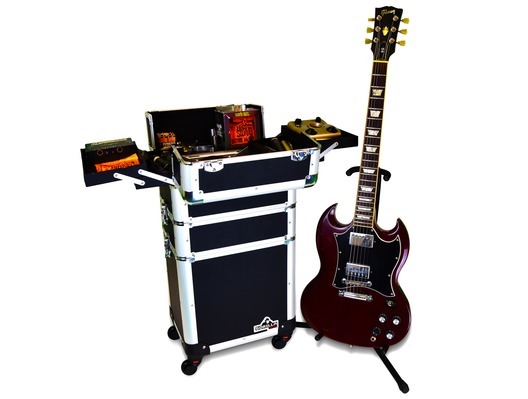 Designed to store a wide variety of accessories and larger items with a range of sections, compartments, removable dividers, allowing you to custom build your gig case. 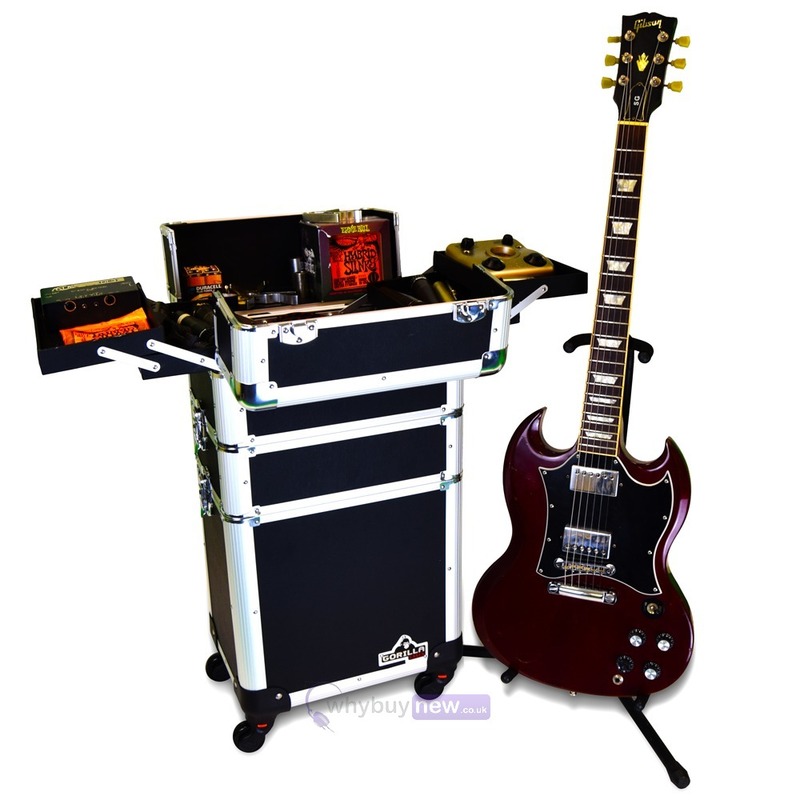 Starting from the top, the lids of the trolley gig case open to reveal 4 trays measuring 22cm x 14cm x 3cm, perfect for storing small items such as strings, tuners, adaptor plugs and plectrums. 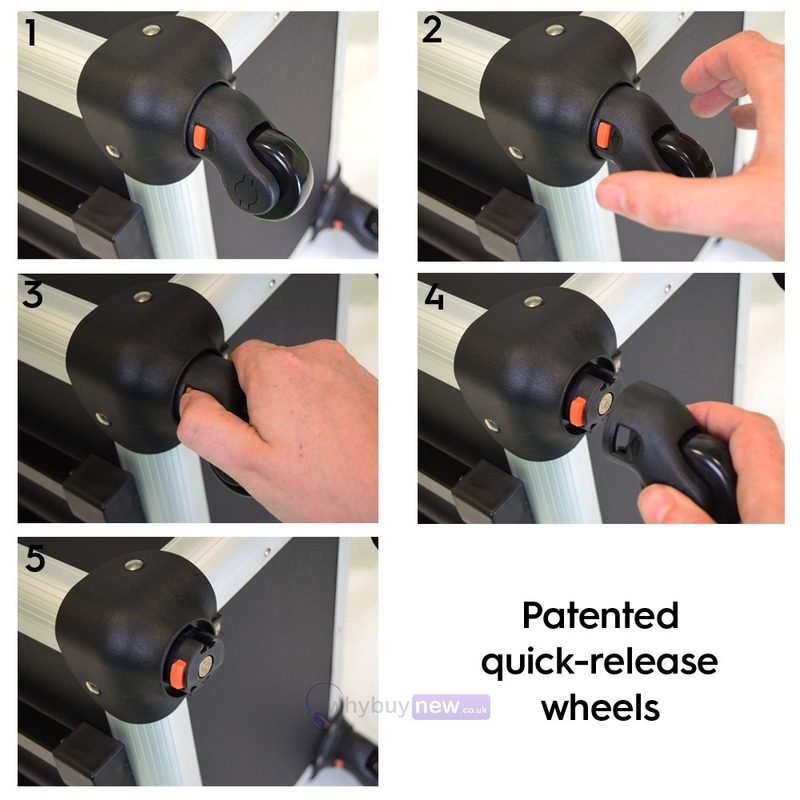 These trays extend out in order that you can also access, not only the trays, but also the under storage which measures 33cm x 23cm x 10cm, ideal for accessing those slightly larger but most used items such as microphones and straps. 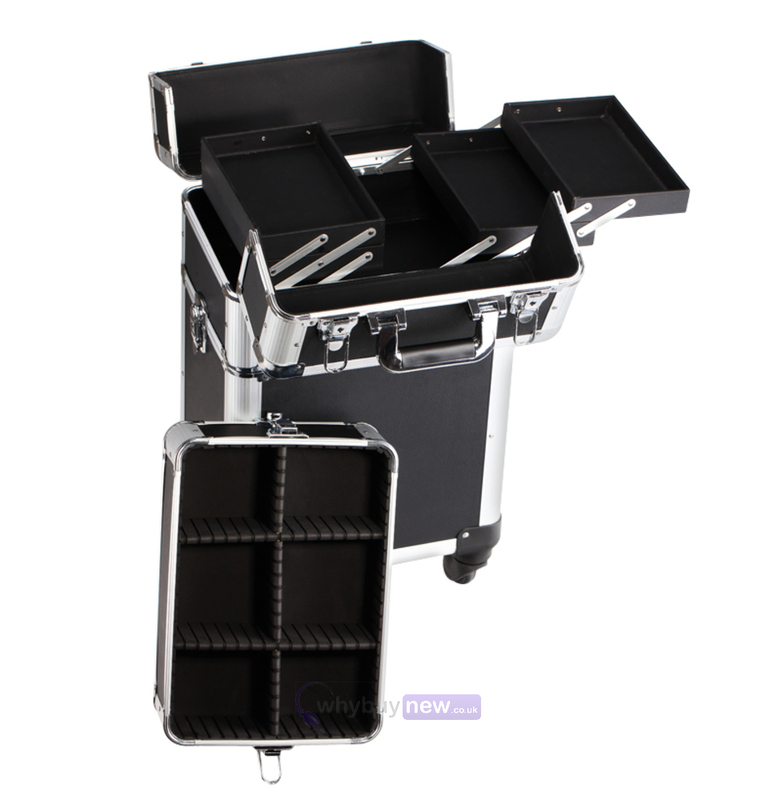 Also, this complete section can be removed from the main body to create a small carry case in it's own right, with the handle on the top and feet underneath. The middle section of the case, once the top section is removed, measures 33cm x 23cm x 9cm and includes optional dividers to form up to six compartments measuring 11cm x 10cm x 8cm each. This section of the case could also be removed to then form a trolley case comprising of just the top and bottom sections. The bottom large section of the case has internal dimensions of 33cm wide x 23cm deep x 33cm high. 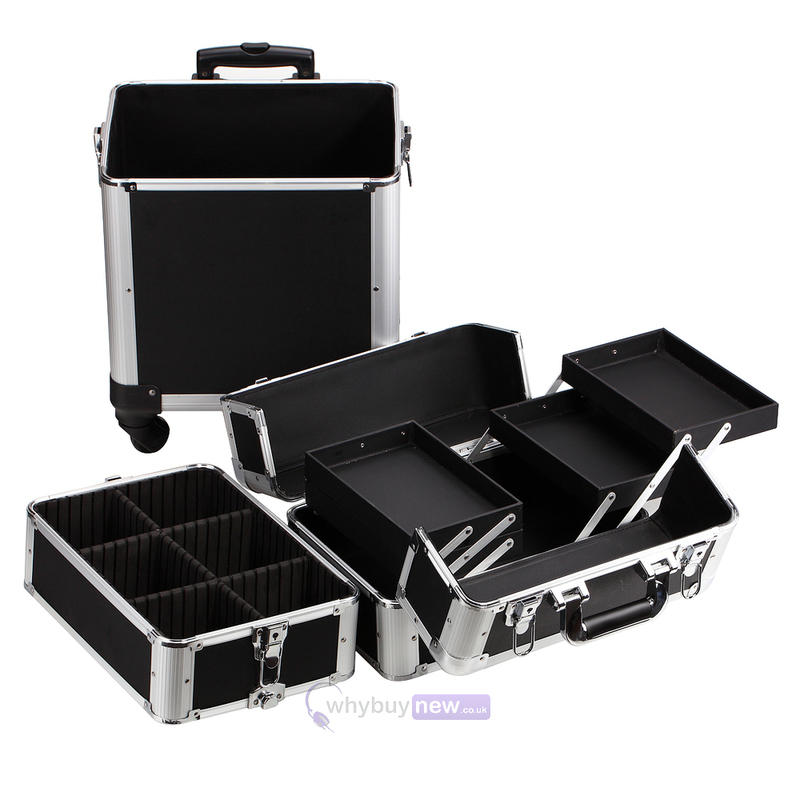 This part of the trolley gig case is great for storing large items such as cables, headphones and effects units. 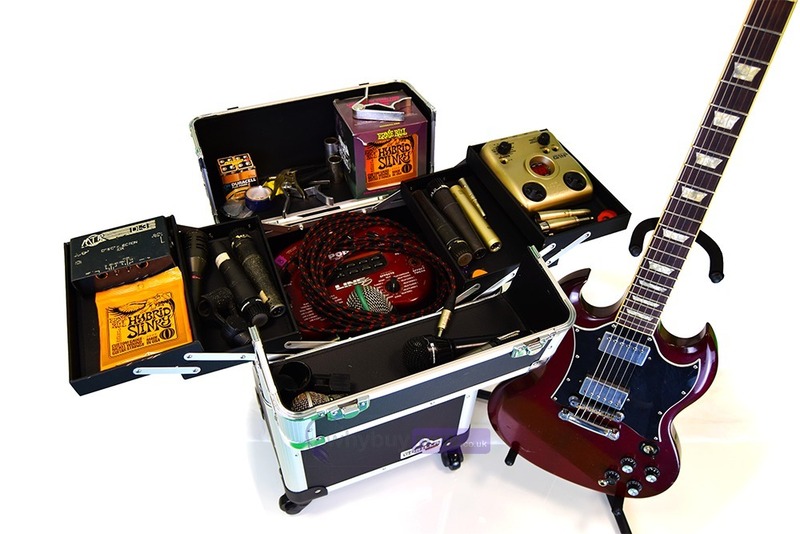 Please note: Guitar and all accessories shown in case are not included. Complete with 6 locks with keys, keeping your valued equipment safe!